Yahoo Inc. has announced plans to bring Facebook Inc. to court over claims that the social network giant has infringed on a number of the search engine's web technology patents, according to the New York Times. According to a statement sent simultaneously to Facebook and the NYTimes, Yahoo wants Facebook to pay for the licensing rights to 10 to 20 patents for technologies that include social networking, messaging, advertising and the personalization of websites. In the company's statement, Yahoo said that it has a responsibility to its shareholders, employees and other stakeholders to protect its intellectual property. The search engine also threatened to file a lawsuit against Facebook is Zuckerberg's company doesn't agree to pay the licensing fees. In a statement to the NYTimes, Barry Schnitt, a Facebook representative, said, Yahoo contacted us the same time they called The New York Times and so we haven't had the opportunity to fully evaluate their claims. The patents in question include some of the first awarded to Yahoo, according to a NYTimes source close to the company. In its joint statement to Facebook and the Times, Yahoo stated that multiple unspecified web technology companies already pay to license some of the patents in question. How much money could Yahoo make in a lawsuit against Facebook? The answer is still unclear. Last year IEEE Spectrum, a technology publication, rated Yahoo's patents as the most valuable among those for communications and Internet services. In 2004, after purchasing the search-advertisement company Overture Services in 2003, Yahoo sued Google over patents held by Overture. The two search companies settled the suit and Yahoo was awarded 2.7 million shares in the search giant just months before Google went public. Yahoo may be angling for a similar result in this potential lawsuit; Facebook announced plans earlier this month to raise $5 billion in an initial public offering late this year. If Yahoo follows the same path they took with Google they may be looking at an even greater reward this time around. The news of a possible lawsuit against Facebook has broken as Yahoo becomes increasingly dependent on the social networking giant for traffic. The two companies joint-announced a new feature last year that integrated Yahoo news with Facebook so users can see what friends are reading (The Washington Post and The Guardian among other publications also have similar applications in place). 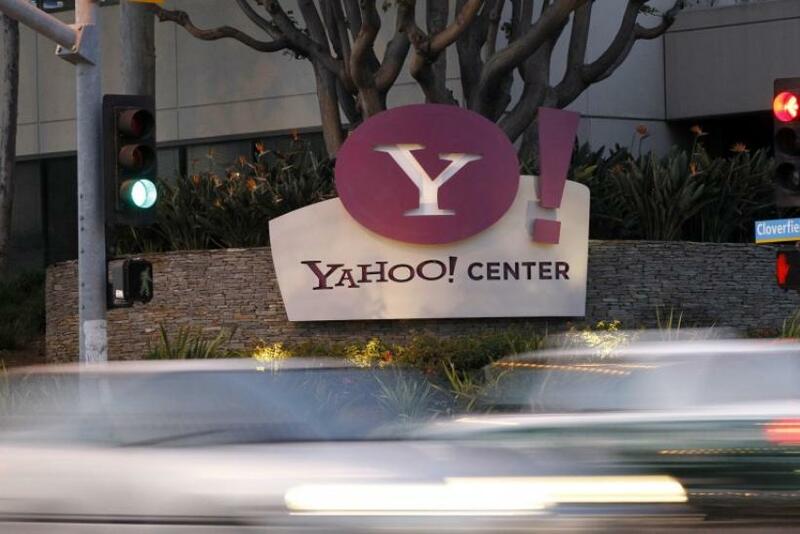 Since the integration Yahoo News has seen its daily traffic more than triple, according to a Facebook developer's blog. Despite their new-found bump in traffic thanks to a partnership with Facebook, Yahoo may see the lawsuit as their only way out of what has increasingly come to look like a downward spiral for one of the Internet's oldest companies. Yahoo's fate has been called into question in recent months after a leaked memo from Yahoo co-founder Jerry Wang indicated that the company might be for sale. Yahoo has also faced low stock prices, a shrinking staff and failed efforts at product development in recent years.